Hope Sandoval and Colm O’Coisog are both in bands that like to take their time. 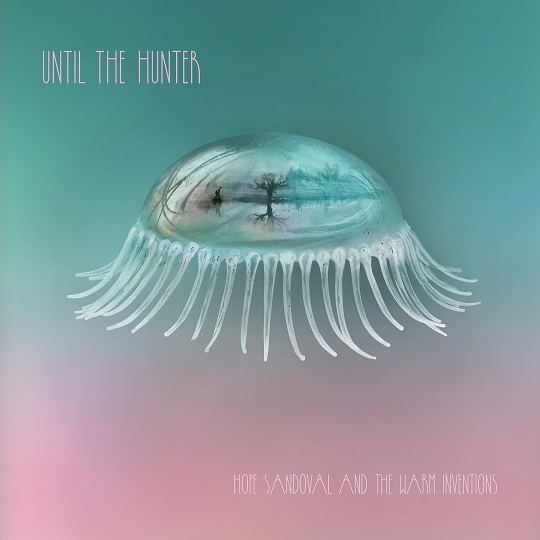 On their third album together as Hope Sandoval and The Warm Inventions, Until the Hunter, they’ve composed a set of beguiling songs that do likewise. Sandoval’s group Mazzy Star had a seventeen year gap between 2013s Seasons of Your Day and its predecessor Among My Swan. 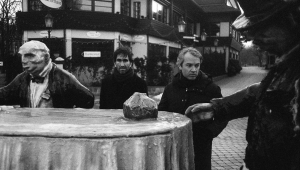 However, that’s trumped by the 22 years it took O’Coisog’s My Bloody Valentine to follow up Loveless with m b v. The gap of seven years since Sandoval and O’Coisog’s last record together, 2009s Through the Devil Softly, is positively prolific in comparison. On the nine minute plus opener “Into the Trees” Sandoval’s ageless voice is augmented by church organs and O’Coisog’s slow drum shuffle; it’s a psychedelic drone evocative of Mazzy Stars’ “She Hangs Brightly”. As Sandoval intones “I miss you” with singer Mariee Sioux refraining the line, the feel of melancholy in her voice is set up beautifully, but musically it’s a curveball, as thereafter the album explores country music, folk and blues. Several songs feature just voice and guitar, with the sparse picking on “The Hiking Song” bringing Nick Drake to mind and the longing and loss of the line “You keep coming around…” is again echoed by Sioux’s enchanting counterpart singing. “The Peasant” is a lovely country lament, with nods to the guitars of The Rolling Stones’ “Wild Horses” and Sandoval’s singing sounds as golden as ever, as with Mazzy Star’s breakthrough “Fade Into You” it’s the sound of heartbreak and yearning. The records highlight “Let Me Get There” sees Kurt Vile join them on a country rock song where his and Sandoval’s dulcet voices dovetail together wonderfully, like a modern day Gram Parsons & Emmylou Harris. 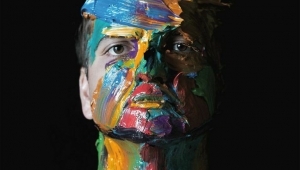 At times the songs could do with a bit of pruning, the elongated blues of the closing “Liquid Lady” overstays its welcome somewhat, but Until the Hunter is an immersive and rewarding record that will keep admirers of their other bands happy and shows that side projects can be more than rock star folly.